light block additive. Rigid tips are molded in polypropylene with opaque color. Use these double helix Brush Tips for “spread” applications such as glues and other materials. 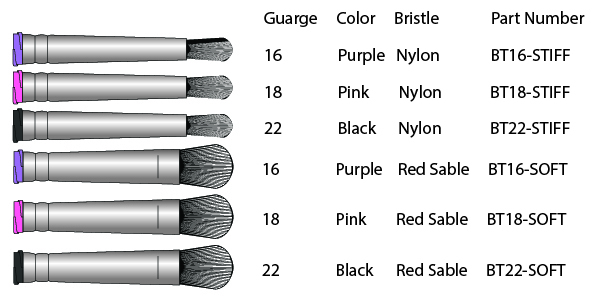 Soft brush is made of Red Sable. Stiff brush is made of Nylon. 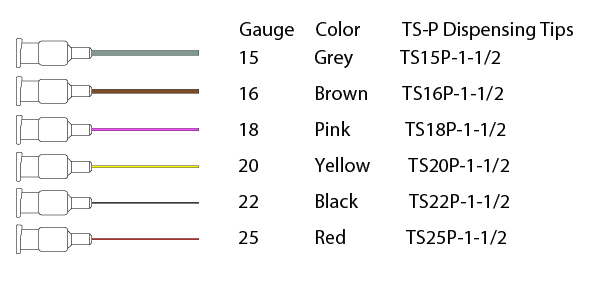 Always order dispensing tips by gauge size not color. 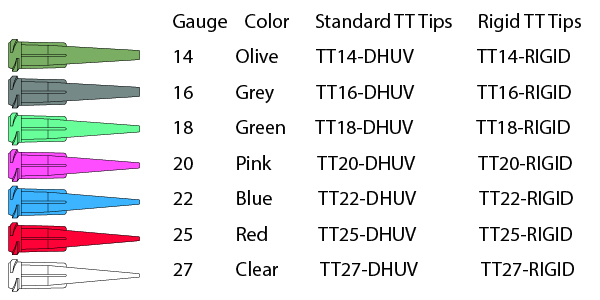 Different manufactures use different colors for the double helix hubs.